If 2019 is the year you plan on finally transitioning to working remotely, or if you just want to level up your digital nomad skills, you probably want to attend at least one of the remote work events taking place this year. Thankfully, there are now quite a few digital nomad retreats and conferences available for remote workers, in some amazing places around the world, which you can take a look at in our events section. 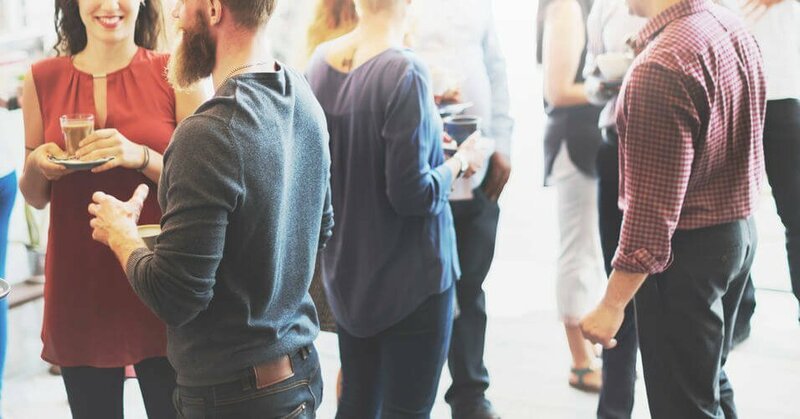 The Coworking Unconference is a five-day conference for anyone involved in coworking, from digital nomads, bloggers, design firms, tech innovators, venture capitalists, and coworking space operators. Running Remote is the world’s largest remote work conference, with attendees in a variety of industries: real estate, accounting, marketing, tech, and recruitment, to name a few. The goal of this conference is to teach you actionable strategies to help you build your remote team and scale up. Nomad City is an annual digital nomad conference where remote workers can network, improve their skills, and learn to grow their remote companies successfully. Join a group on this digital nomad retreat where you will all work, live, and travel together around the world. Remote Year offers four-month programs and twelve-month programs in Europe, Asia, and South America. Even if you don’t currently work remotely, Remote Year can help you get your boss on board and transition you into a work and travel program. They’ll handle all the logistics of coworking, connections, accommodations, and excursions while you focus on your business. Remote Year Eureka. Start Date: March 31, 2019. 4-month program. Split, Lisbon, Valencia, and Cape Town. Remote Year Uroboros. Start Date: March 31, 2019. 4-month program. Santiago, Lima, Medellín, and Mexico City. Remote Year Taksu. Start Date: March 31, 2019. 4-month program. Hanoi, Chiang Mai, Kyoto, and Kuala Lumpur. Remote Year Mandala. Start Date: March 3, 2019. 4-month program. Hanoi, Chiang Mai, Kyoto, and Kuala Lumpur. Remote Year Saudade. Start Date: April 28, 2019. 4-month program. Split, Lisbon, Valencia, and Cape Town. Remote Year Imani. Start Date: June 30, 2019. 12-month program. Santiago, Lima, Medellín, Mexico City, Hanoi, Chiang Mai, Kyoto, Kuala Lumpur, Split, Lisbon, Valencia, and Cape Town. Remote Year Polaris. Start Date: March 3, 2019. 12-month program. Lima, Santiago, Medellín, Mexico City, Hanoi, Chiang Mai, Kyoto, Kuala Lumpur, Split, Lisbon, Valencia, and Cape Town. This community of professionals combine their remote work with travel experiences. Hacker paradise is a digital nomad retreat open to all types of people with remote work, from all ages. If you can only stay for a small length of time, they have certain start and stop dates every two weeks from the start to the end of each trip. January 6-March 2. Medellín, Colombia. February 3-March 2. Koh Lanta, Thailand. March 3-April 20. Taipei, Taiwan. March 10-April 27. Florianópolis, Brazil. April 21-May 4. Tel Aviv, Israel. May 12-July 6. Seoul, South Korea. July 7-August 17. Sri Lanka. July 7-August 17. Budapest, Hungary. August 18-August 31. Tallinn, Estonia. September 1-September 28. Lisbon, Portugal. September 1-November 2. Buenos Aires, Argentina. September 29-October 26. Marrakesh, Morocco. October 27-December 21. Cape Town, South Africa. November 3-December 21. Montevideo, Uruguay. The WiFi Tribe is a digital nomad retreat for remote workers from all over the world who slow travel to a different city each month as a group. Colive and cowork with 12-20 professionals for four weeks at a time, exploring the country and chasing adventures like rafting, sailing, surfing, sightseeing, and diving. February 15-March 15. Quito/Olon, Ecuador; Medellin, Colombia; Prague, Czech Republic. March 22-April 19. Lima, Peru; Medellin, Colombia; Bocas Del Toro, Panama. April 26-May 24. La Paz, Bolivia; Playa Del Carmen, Mexico; Tariea, Spain; Kyoto, Japan. May 31-June 28. Medellin, Colombia; Antigua, Guatemala; Budapest, Hungary; Canggu, Bali. July 5-August 2. Cusco, Peru; Medellin, Colombia; Reykjavik, Iceland; Canggu, Bali. August 9-September 6. La Paz, Bolivia; Medellin, Colombia; Florence, Italy; Nairobi, Kenya; Canggu, Bali. September 13-October 11. La Paz, Bolivia; Rio De Janeiro, Brazil; Lisbon, Portugal; Cape Town, South Africa; Canggu, Bali. October 18-November 15. Buenos Aires, Argentina; Mexico City, Mexico; Lisbon, Portugal; Barcelona, Spain; Cape Town, South Africa; Chiang Mai, Thailand. November 22-December 20. Santiago, Chile; Santa Teresa, Costa Rica; Lisbon, Portugal; Muscat, Oman; Goa, India. Combine kitesurfing and coworking on this retreat. Digital nomads, students, freelancers, and other professionals can collaborate and adventure near the Sinai mountains and the Red Sea. Both experienced kiters and beginners interested in a new experience are welcome. On days without much wind, focus on working remotely from the available coworking space. Dates and Places: 18th-31st March, Dahab, Egypt. This digital nomad retreat is for active female travelers interested in going on a luxury ski trip in one of the biggest ski areas in Austria. Beginner, intermediate, and advanced skiers or snowboarders hit 167 miles of slopes and stay in an alpine eco hotel. Dates and Places: 16th-23rd March, Austrian Alps. Sail, swim, sunbathe, and explore uninhabited islands with other remote working professionals. Learn how to sail, party in the moonlight, and connect with your boat crew. Dates and Places: 11th-18th May, British Virgin Islands. Do you want to take a look at more remote work events to attend in 2019? Check our remote events section now!